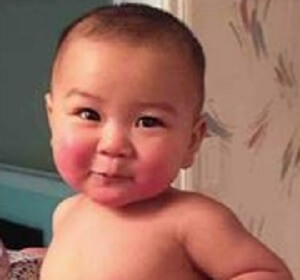 13 month old Dylan is fighting for his life after he fell into a Sugar Land family pool. 13 month old Dylan is fighting for his life after he fell into a Sugar Land family pool. Now the family is advocating for water safety, especially in younger children. This is why we are passionate about what we do. Drowning is well known as the leading cause of injury death in the US for children between the ages of 1 and 4. In fact, the AAP (American Academy of Pediatrics) recently updated their recommendations to enroll children in lifesaving swim lessons beginning at age 1. Dylan's older siblings completed water safety classes, and the family was also preparing to take Dylan to lessons beginning this year. "Drowning is silent and it happens fast," said Tammy Schoen (Director of HSC Sugar Land and Co-Owner of HSC Cypress and Pearland), "It's not like it is in the movies, where they make lots of noise." See the full video report from ABC News below. Dylan still has a long recovery, but has shown signs of improvement. Our Houston Swim Club family is keeping Dylan and his friends and family in our thoughts and prayers. Houston Swim Club Employee Saves a Life!